Why wearing the same pink jacket to every conference has been a good fashion choice for this author, and the planet. I recently read a piece by Arianna Huffington on how women end up spending far more time picking out their clothes and getting ready for work on a daily basis because of the pressures they face to look different each time. Immediately, I thought back to a few weeks ago when I was featured by a magazine wearing the same pink jacket I wear to a lot of important work commitments. Someone I knew closely had gently suggested that perhaps we should go shopping so that I can have something different to wear the next time someone interviews me. She suggested this because she felt she had seen me in this jacket too many times in pictures. While she said this with the best of intentions, it made me realise how conditioned we were to observing women’s clothes and appearances and how much unnecessary pressure we put on our women workforce. This was bad. Not only because almost 50 per cent of our workforce has to spend more personal time making frivolous decisions that do not impact their ability in anyway, but also because it leads to more attention being put on their fashion choices versus their talent in their field. Of course this has significant repercussions on the health and well-being of the individual but it also has deeper and more far-reaching repercussions for society as a whole. Something that we do not immediately see. This constant pressure to not repeat outfits and wear something new each time is also one of the causes for what we now call “fast fashion”. We behave as though consumption choices are made by individuals living in silos but that is just not the case. We are social animals and when we build cultures that constantly criticise women’s choices to wear the same thing over and over, we also build a culture where mindless consumption leads the way. In order to fuel this madness, companies make clothes cheaper and less durable thereby encouraging consumers to shop for more and to shop repeatedly. Fast fashion today is the second most polluting industry after oil! Think about that. A decision that all of us make, all the time when we choose to splurge our salaries on a new wardrobe is impacting the world in such a horrible way. In several countries it is more expensive to repair clothes because of which citizens just toss the clothes aside and buy new ones. Adding to this is the pressure to be dressed differently each time, especially in today’s “Instagram” world where bloggers often change outfits for every shot almost never repeating anything twice. This toxic culture of try, wear, toss, repeat is creating a huge landfill of problems for our entire planet. With mounting volumes of textile waste that we have no solutions for, we also need to keep in mind that it takes a LOT of natural resources to manufacture clothes in the first place. Cotton farming is extremely water intensive and has led to ecological devastation in many parts of the world. Similarly, transporting the clothes from third world countries where they are manufactured to first world countries where they are worn and disposed and back to third world countries for recycling is a system that is very carbon intensive. Just because we buy the clothes cheap, does not mean, they are cheap. It just means that all of us are paying the price for it. This is a culture that helps no one except large textile manufacturers. It is a culture that leaves behind a devastated planet for our children and grandchildren. And it is a culture that doesn’t even make us feel confident of who we are! So ladies, make sure to buy just a few pieces that make you feel good and ditch the self-doubt that plagues us all. No disrespect to people following my journey, but I will be wearing the same pink jacket the next time you see me too. And just like Steve Jobs was, I hope we will recognise our women for making the same choice in fashion every single day. Amishi Parasrampuria has over four years of experience in sustainability, and has done consulting work for companies such as Tata, Mahindra & Mahindra, IKEA and Hindustan Unilever. Her work on upcycling has also been featured by over 30 media publications. 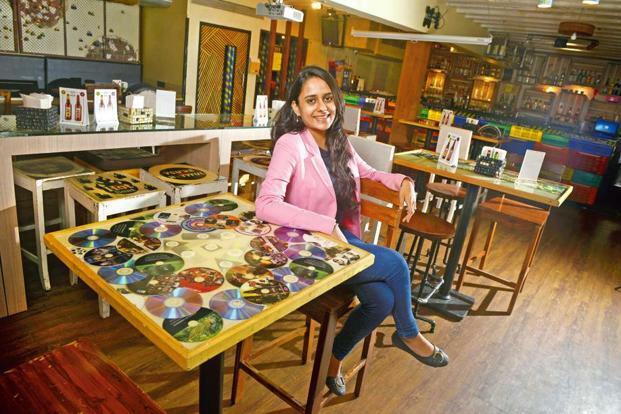 She wanted to focus on mindset and behaviour change and therefore decided to work with the consumers of tomorrow, children, with her venture Upcycler's Lab. besides being a full time entrepreneur, she is also the Curator for the Mumbai Chapter of the Global Shapers (a World Economic Forum initiative), through which she undertakes several impact projects in Mumbai.